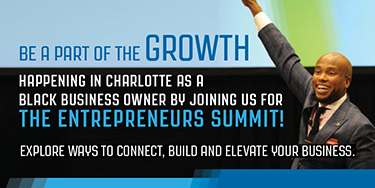 The sole purpose of a business is to grow. This can take on many dimensions — profits, revenues, market share, brand or community influence, just to name a few. The road to growth is very simple. Innovation is required to drive growth. You make something better or new (products, services, solutions, etc.) and you sell to someone better or new (markets, segments, channels, etc.). Basically, that’s it; the rest is just fine print. It sounds easy enough, but of course it isn’t. 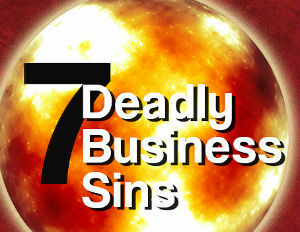 This is because there are seven underlying issues — deadly sins if you will — that make growth difficult and completely different from everything else you do in your business. But there is hope — simple things you can do to avoid the anguish and misery that often accompany the wide range of chaotic activities that produce valuable growth. The fresher the innovation, the more likely it will come to fruition sometime in a distant future for which there presently is no data. Unless you possess a crystal ball and remarkable prophetic abilities, believing you can see the future is delusional at best. Borders was a pioneer of the mega bookstore category, but when things began to go digital, it bet big on in-store media downloads. Instead of making midcourse corrections, it rode its strategy all the way to bankruptcy.Â A sure sign of a company that is stuck in the planning phase of innovation is an incessant collection of data and obsession over the business plan. Current research suggests that planning is important, but learning from real experience is absolutely critical. We all need to know the facts to move forward, but when we focus on data collection at the expense of running meaningful experiments that will yield results, it becomes counterproductive. Redemption: Prototyping, test marketing, and post-mortem reviews will tell you more about opportunities, shifting customer preferences, and the potential of a new technology than any spreadsheet or PowerPoint stack. Take your cue from venture capitalists who hedge their bets. They will make small investments in a wide array of therapies for the same disease state to quickly learn what really works. They seldom bet it all on one sure winner. Make smaller and wider bets.